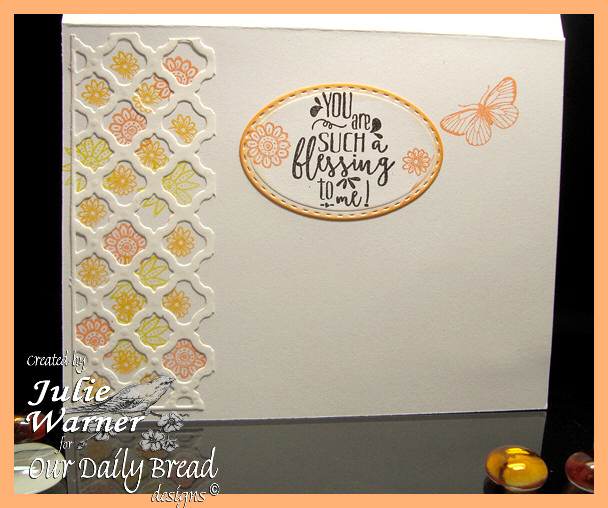 For Lydia’s Challenge..the final Dare to Get Dirty Challenge for 2015. The details are HERE, but you’ll need to be a Fan Club member…it’s easy, just click to find out how. I’ve had the Brushos water color bg (& a couple more) finished ever since I signed up for Lydia’s challenge, but then I was stumped about what to do with it. I’m not entirely sure I did the bg right, but it is what it is, lol. I guess it’s my interpretation of the water color galaxy tech (had to google it!). Lots of ideas came to mind, but this is nothing like what I first envisioned. 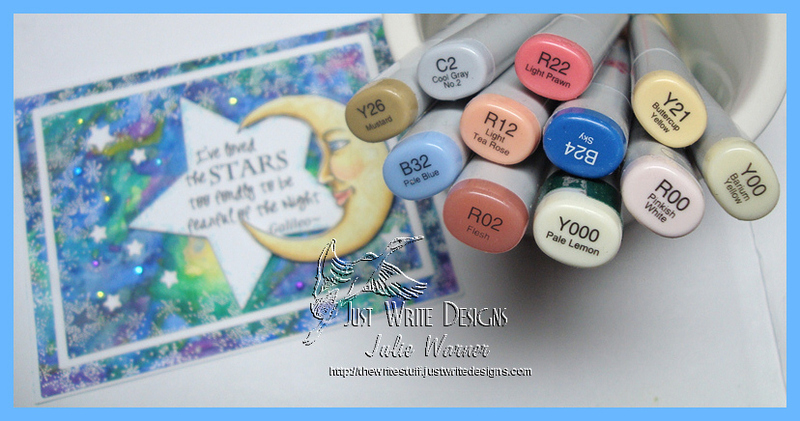 I couldn’t find a moon image like I wanted, so I drew one, colored it w/ Copics then stamped a few images on top w/ the cantaloupe ink and cut it out. I typed the quote, printed it then used a star die to cut it. 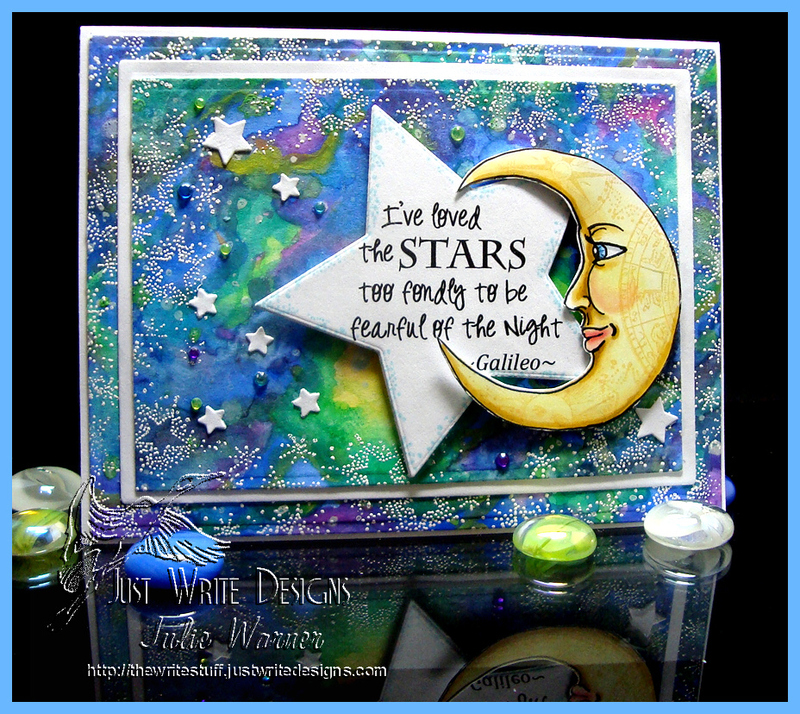 The bg was stamped around the edges w/ one of my oldest & best loved stamps…Starry Night by ANM, & white embossed. 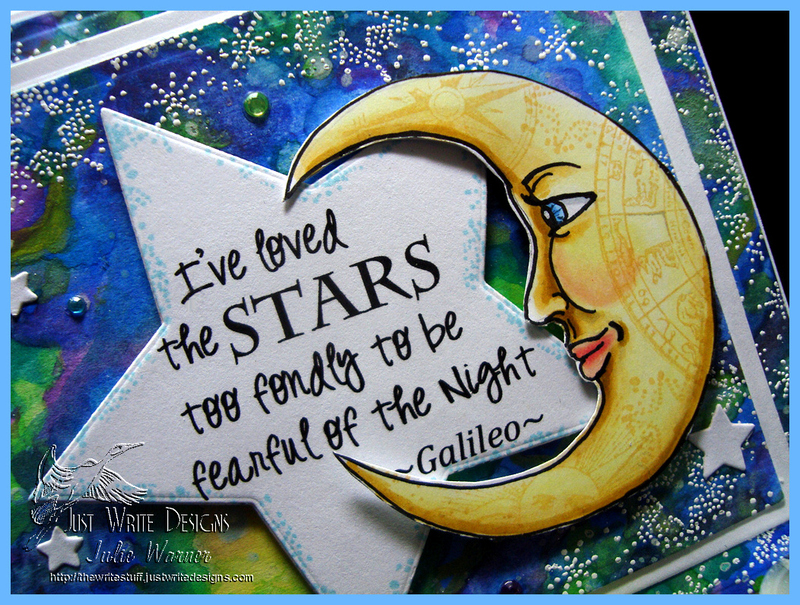 After a few die cut layers, I added my star & moon & some little stars & crystals. While not what I started to make, it’s growing on me 🙂 These are the Copics I used to color the moon.